In adopting a semantic organisation, Strategies was instrumental in introducing the ‘communicative approach’ to a generation of teachers (including myself) who had been formed during the late-audiolingual era. Although still labelled “functional-notional”, the approach that Strategies embodied was communicative. It had to be, because, if you base your curricular goals around functions (such as Polite requests) or notions (such as Ability), you need a methodology that allows these meaning-driven goals to be realized in terms of classroom activity. You need role plays and dialogues. Moreover, you need activities that distract attention away from a focus on (grammatical) form and, instead, encourage a concern for meaningful interaction. So you need communicative games, information-gap tasks, and jigsaw activities. For someone like myself who had been trained mainly to elicit, drill and correct structural patterns, this radical shift in learning objectives and teaching procedures was truly revolutionary. For that reason I have always had a soft spot for ‘white’ Strategies, and its subsequent re-packaging as the (more systematic and more colourful) Strategies series (Starting… Opening… Building… Developing…). So, as we tucked into the ELTONs dinner, I happened to ask Ingrid what had inspired the concept behind the Strategies series. While she did not quite echo my sentiment of “bliss was it, in that dawn to be alive!”, she did confirm that the mid-seventies was an exhilarating time for methodologists and materials writers, where the sense of a sea-change was palpable, and where the publishers, too, were prepared to throw caution to the wind. What people want to do through language is more important than the mastery of language as an unapplied system. How come I had never noticed that acknowledgement before? More worryingly, what happened, subsequently, to reverse this sea-change – to make the structurasl syllabus the primary one again, and the semantic one only secondary? Why is it that “the mastery of language as an unapplied system” again takes precedence over its communicative purposes? What happened to the communicative approach? I wonder if it’s not to do with the sublimity of language. I was watching a Steve Pinker TED talk yesterday where he was highlighting the fact that it is impossible to convey all the possible semantic combinations in a language, so language learners are naturally drawn to extrapolating a kind of grammar. This tendency can quite easily become exaggerated as the attempt to master language as an unapplied system. In that regard, maybe it is possible to say that the popularity of the structural syllabus never really went away, at least with learners, it just seemed like it did for a while. Anyway, while I’m here – many congratulations on winning the ELTON this week – it was well-deserved. 1. The Spanish student’s fear of making him/herself ridiculous in front of others. 2. The almost total absence of appropriate teacher training for State-school teachers of English. 3. The consequent reluctance of many Spanish teachers to use any textbook which is not based around safe grammar Mcnuggets. Communication never really had much of a chance. I am fighting a rearguard action this year by refusing to correct a percentage of written work. I only respond to content: I am strange. Maybe it was too hard to test if students had learned want they wanted to do through language. ‘Certifcates’ exams took over and became the primary motivation for most learners and those exams have nothing to do with ‘normal’ communicative situations. See Mike Harrison’s latest reflection. Very interesting, Scott – especially the question posed at the end. What happened to the communicative approach? 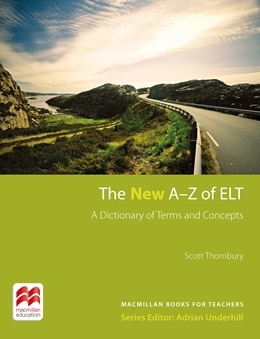 To some degree, I think ELT has fallen victim to its own explosive success on a worldwide stage, and how the associated stakes for learners and schools have risen. In essence, learning English has become incredibly important, and incredibly profit-driven. This may be a vague claim, but I do believe this corresponds to the rise and rise of English language tests and has resulted in a craving for ‘measurable results.’ The most reliable tests (across a range of priorities – not just the notion of ‘test reliability’) have somewhat naturally gravitated towards measuring clearly defined “whats” rather than “hows.” Teaching approaches and printed materials have followed suit. However, the picture may not be so neatly clean cut. I think about the success my own coursebook series has had over the past couple of years (a 24-book series that focuses on “skills” – rather similar to the notional/functional approach you describe above, with “strategies” treated as facilitative actions that build on broader communicative skills), and it seems to be pretty good evidence that an applied (as opposed to unapplied) system still has resonance with learners and schools. Interestingly, however, I do think to some degree that this return to “skills” is still inexorably bound to the influence of international tests. When tests like TOEFL and TOEIC took on speaking and writing sections (in the last 4-5 years), there was a similar uptake of speaking and writing priorities in a range of local MOE tests as well. Testing speaking and writing inevitably involves “hows” as much as “whats”, and this may have something to do with a return to popularity for skills-based language teaching approaches. So when tests begin to incorporate productive skills (and not just receptive or analytical skills), a communicative approach potentially gets tugged out of a dusty locker somewhere and given a new guernsey to come out on the playing field again. But it does still come back to tests (at least to some degree), doesn’t it? The use of functional categories became the best-known feature of the [Threshold-level] courses that started to appear from the late 1970s onwards, for example, the four-volume Strategies series (1977 – 82) by Brian Abbs and Ingrid Freebairn. The new semantic syllabuses did not, however, discard the familiar structures and patterns altogether, though they did reorganise them somewhat. Teachers’ reactions were predictably mixed and later courses tended to emphasise that notions and functions should be seen as an enrichment of the old methods rather than as an alternative to them. For many teachers, however, what was attractive about the communicative approach in this form was not so much the novel syllabuses as the refreshing sense of freedom that followed the end of the over-rigid structural syllabus and the welcome variety of classroom activities that accompanied the new approach. A very good point about exams Jason.I wonder if it leaves teachers and learners in a kind of no man’s land between the input demands of the textbook and the output measurements of the exam – with the exams influencing the textbooks,and the textbooks influencing the exams,and the resulting tides rather washing over the immediate language needs of the learner. I think you’ve summed it up very accurately, Luke – and the resulting “no learner’s land” is a pretty good description of the end result! I think the communicative approach is in a weird place in UK ESOL at the moment. I think the desire is there – the ESOL/Skills for Life agenda is based on the notion of preparing learners (mostly migrant worker population) to be functional in society. Hence, a lot of ‘real-life’ situations in the main material (centrally produced, chaotic, with mini grammar McNuggets). But the placing of ESOL within the SfL agenda means focus on results, and therefore getting students through exams. Despite everything, it is still teaching to the test. I was really surprised when a colleague said a student had deemed an exam practice lesson as perfect. I understand that exams can be big motivators, but wonder what effect their supposed importance to institution and student has upon teaching. As a specific example of exam-importance almost every week I see a ton of students looking very nervous before taking their IELTS exams at the language school across the road. You can almost feel the tension in the air. Well before you get too starry-eyed about the functional-notional approach which blew me away when i did my MA at Reading (specifically because David Wilkins was there) it would be good to remember Chris Brumfit’s worry that teaching formulaic ‘doing-things-with-language’ was a way of trying to force students to say things that WE wanted them to say, rather than allowing them the freedom to use their own language combinations. Sure Austin’s performatives and Hymes’ rules of use etc reminded us that people DO things with language, but functional-notional syllabuses were prescriptive and ‘nugget’-like in many ways. And still are. And so is quite a lot of chunk teaching (which is what functions were all about long before the lexical Approach etc. In a way i think grammar nuggets may be far more liberating – since they contain more freedom of use and collogation/collocation than some of the more pre-digested functional chunks we used to teach. There’s a thought for you. And there were/are all the grading problems with functions. All the cultural specificity. But the communicative approach was/is not just about Notional Syllabuses; it puports to say HOW learing should take place. And in that divided focus lies many of its problems, I believe. Jeremy, that’s a really interesting point. Does giving learners exposure to functional chunks mean we are prescribing what they should say and how – or are we just showing them a range of ways native speakers use the language for functional purposes, helping them understand them, and then letting them make their minds up from there? At least in terms of comprehension and automaticity, functional and notional chunks are still important – I think. It does raise the question: is it in fact possible to ‘teach’ anything without risking (at least to some degree) a ‘prescriptive’ tag? We’ve learned our own chunks in our native language from parents, peers and the wider society in which we live – was the language we learned any less prescriptive? Designers of a semantic syllabus would say: by making your starting point the kind of situation and speech act that favours the use of the third conditional, you may have a better chance of stimulating its production in ‘real operating conditions’. Learners would also get the bonus of exposure to, and use of, related language items, lexical, phrasal, and grammatical, that are typical of this kind of situation. (This is where corpus linguistics and discourse analysis come in handy, in that they can flag these kind of typicalities). That, at least, is the argument for a semantic syllabus. I agree, though, that substituting a list of structures with a list of notions and functions is unlikly to make teaching any more ‘communicative’: while the focus remains on discrete-items, the danger is that learning becomes simply the accumulation of unrelated bits of knowledge, learned and tested for their own sake. But once you introduce communicative goals into your program, you at least allow the possibility of some kind of synthesis, whereby these isolated bits of language are marshalled into activities that involve “doing things with words”. That for me was what ‘Strategies’ (and its ilk) offered. I think my teaching improved considerably when I became less fixated on the short term goal of the grammar mcnugget and re-focused on the longer term goal of the communicative task. To that I owe a debt to Ingrid! I think that structural is easier to sell than communicative. After my CELTA, and teaching for some time, curiousity prompted me to do the Vaughan one wk training, which is a marvellous recap of the audiolingual method, and teach a semester as a Vaughan teacher to see what it was all about. Vaughan sells better than anyone, and I think the investors behind it like “the good old days” mentality. They have a tv station, a radio station, and the best selling translation lists (focusing on high-use chunks) in the world. Phrasal verbs are sold by the kilo… and people buy them. Vaughan softly discourages non-company teacher training and insists on sticking to method, which you can see on tv. Curiously, it seems to get some quick results from certain students. And the lack of freedom in “my tailor is rich” does not mean there isn’t strong images that stick in your head. Many students like the “correct every d… thing I say” that Vaughan pushes. Can being a full-out grammar drillmeister be good for certain students? Do we project anglo-saxon sensitivity on thick skinned Spanish students? Ok, innately, I *know* communicative is better. In Spain, one constantly sees the triumph of Form over Content. Education everywhere is often about sheep frantically jumping hurdles, not about actually practical learning and owning that knowledge. Motion and measurable results are comforting to the stakeholders in education. And ESFR (English for Space Filling on Resumes) likes certificates and exams that are structure based. Anyways, to finish on a less rant-ic note, thanks, Scott, for this blog to encourage our thinking and improving as teachers. I had a student in IH London who had experienced most of her English learning by means of the Callan Method – a similar – drill-til-they-drop – methodology. I suspect I’ve already written about it on this blog (under Drills?). She reported having nightmares at first, but then geting used to the rapid fire, automated prompt-response routines. But opted to change to a more ‘serious’ school once she’d achieved a critical mass of language with which to contemplate doing FCE. (She was living in London, too, of course). Q. What is a Spaniard? A: A Spaniard is a person who spends all their life trying to learn English. Scott, I like the Spaniard joke, and it warms the cockles of my heart to think that we are creating lifelong learners…. Vaughan is very prescriptive and rule oriented, basing conversations around a very set core system. You’d be amazed how many teachers we interview for our ELT organisation who say they’d like to come and teach in a school which uses the “communicative approach” as opposed to a more behaviouristic method. But when we dig deep, with all due respect to our candidates, it’s amazing how unclear younger teachers actually are about what the communicative approach entails. It is still regarded as a liberating approach, both for learners and teachers. But quite often this lack of clarity about what a communicative approach allows for in class actually becomes apparent when we see elements of a more structural syllabus-based lesson creeping into the classroom, sometimes imposing limits on the communicative opportunities during class. This is an issue we always need to address through teacher training. I would also agree with the points raised above about testing and exams. I tend to think we live in a world in which the power of certification has reached it’s zenith! Employers require certificates! So, testing, examinations and the ability to prove you know what you know has played an increasingly important role in ELT ( I can clearly see this happening in Brazil). It’s results driven rather than process driven and learners value this. In addition, society today doesn’t really allow us much time …. How much time can you allow yourself to master a foreign language? Things need to be learnt quickly – no better way than to follow a structural syllabus??!! Or worse still, follow a structural syllabus, heavily disguised with the trappings of the communicative approach!!!! So, in an attempt to answer the question, I think sometimes teachers slip into a teaching situation in which the essence of the communicative approach is slightly left aside in order to prioritize a greater focus on form in the belief this might speed up learning. This is a fascinating discussion, we can see the issues around extremes – like everything in life, balance is key. On the other hand, learning grammar in isolation or semi-isolation allows us to build up a great meta-knowledge of a language, without the skills to actually use it… We need to ensure that context reflect the interests and needs of students, that they can see it being relevant to the situations in which they might use language. Abstracts are tricky – people find concrete things easier to deal with. Mike touched on materials produced specifically for ESOL in the UK – for those of you not lucky enough to have used them, they seem to be a good idea, badly executed. They feature relevant contexts for some ESOL learners (can of worms opening here….) but I find them restrictive: they don’t allow language and grammar use to be developed to the point that it can be easily used again in the future. I think they work better in the hands of teachers with a bit more experience, who can exploit the contexts presented to develop language relevant to students. The lexical approach seems less prescriptive and more diverse when the collocations are based on corpora. Once word patterns have been noticed within a natural discourse – then the skill is about creating a realistic/communicative task which would provide an opportunity for students to “activate” the particular patterns noticed. With no expectation that they will be able to do this as with language learning digestion usually needs more than 60 mins! Thanks for your post, Steph. I’m not sure that the problem with notional/functional syllabuses (as in Brumfit’s critique, mentioned by Jeremy) is that they are ‘prescriptive’ – saying that “‘I’m sorry’ is how people apologise”, for example, is just as descriptive as saying “the past of go is went“. (A prescriptive rule might be something like “You should say ‘please’ at the end of a request”). It’s more that notions/functions are – not prescriptive – but restrictive – i.e. non-generalisable. A rule like “add -ed to the verb stem to form the past tense of regular verbs” generates many more potential utterances than “to apologise, say ‘I’m sorry'”. Of course, you can generalise “I’m sorry” to any situation where an apology is called for, but you can’t create new phrases on this slender basis. And this is where I think you’re on to something, in suggesting that lexical chunks are potentially generative (and formulaic expressions of the type ‘I’m sorry’ are just as much lexical chunks as ‘have a go’ or ‘it’s funny the way that…’ or ‘over the moon’ etc etc.) There is growing evidence to suggest that the acquisition of chunks can help ‘feed’ the later development of grammar — that is, the chunks ‘release’ their grammar over time. A study by Mitchell and Martin (1997) on secondary school children learning French in the UK found that the children “who did not internalise and retain a corpus of phrases of this kind, at this early stage, were highly unlikely to make any real progress subsequently, and in particular were never seen to move on from pragmatic communication strategies to grammatical control”. To quote Randall (2007, Memory, Psychology And Second Language Learning), in referring to this study, “They also noted that, amongst the children they observed over a long period of study, the better pupils began to notice and explore various aspects of the grammar of the chunks. The learning of chunks by heart without any specific focus on form was producing, of its own, an understanding/awareness of the different language elements involved in the chunks.” (p 170). All this suggests that the learning of isolated phrases — particularly those that have a high turnover, such as the ways of realising highly frequent speech acts — may not be as restrictive as Brumfit, Harmer et al. suggest. Reference: Mitchell,R. and Martin,C. 1997. Rote learning, creativity and ‘understanding’ in classroom foreign language teaching. Language Teaching Research 1:1 — 27. Extremely interesting stuff – and stuff that so relevant to the day to day decisions we have to make as classroom teachers – especially working in an environment like I do of CLIL at an International School. Not having to prepare students for an exam or follow a course book provides lots of freedom (and responsibility) to work with the students as individuals. I think that ELT has shifted from its initial concern and emphasis on meaningful learning and communication to a pragmatic concern about exams. Doing well in standardized tests has become the motivation of English learners. I agree. I don’t know that things were ever that good, but the testing obsession is doing a lot to take the fun out of what we do. I think that teaching for exams can be great fun! After all, at higher levels, exams can be the ONLY motivation for continuing doing English classes. And I have great fun with my CAE and CPE classes. The way I look at it, we just replace simple functions like “to apologise, say ‘sorry'” with more elaborate functions like “to specualte about people in a picture we use structures like ‘He/She might be + verb -ing'”. The problem is at lower levels where you sepnd hours going over how to spell the different forms of the past simple and then at the end of the unit in the book, there’s a page or a column called “Everyday English” or “Practical English” as a kind of afterthought, which presents ‘real’ chunks of language which can be used for specific functions. Yes, this seems to be all that’s left – the vestigial tail? – of the notional-functional syllabus – some phraseological bones tossed at the students for them to gnaw on a bit! Oh the memories this post has conjured up! Of Reading and all the excitement of following the lectures of these great people in ELT, David Wilkins amongst them, as well as Keith Johnson, Peter Trudgill and so many others! And meeting with Chris Brumfit and N.S. Prabhu – yes, whatever happened to the communicative approach, is a good question. My own feeling is that although these first exciting attempts of constructing entirely functional syllabuses were as unsatisfactory as having entirely structural syllabuses. I hear Jeremy’s comment that structure bits may be more generative, where a functional exponent may not, but I like the current freedom of going this way or the other, as the case may be. There are structures which are generaliseable enough to use in a variety of contexts and to create a variety of functional phrases and, of course a lot has been written about this power of certain constructs expressing notions of time, quantity and more, which exist across languages and do not need a “functional cloak” to be understood and for students to extrapolate and create from them. But despite the great material in the Strategies series, a lot of it was (in my own view, of course) still very much based on good old audiolingualism. The functional era did not free itself of that. What do you think, Scott? Thanks for your comment, Marisa. I’d forgotten you were a Reading student too – sounds like you were there in the heyday. Indeed some people call it the heyday of Reading – Ron White was there, too, Mike Garman and Ted Hughes…even Frank Palmer and Irene Warburton! You couldn’t get much better than that then! My comment above is made with all due respect to Ingrid Freebairn and to the series on which I actually ran a series of teacher training seminars all over the place on behalf of Longman. 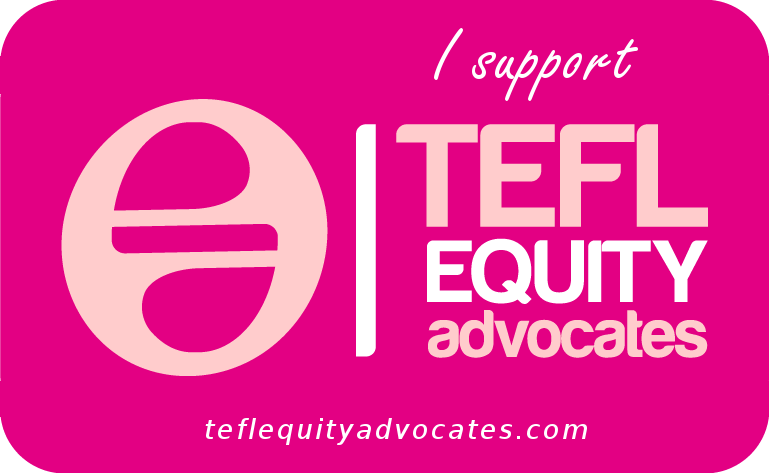 I gave me a great job, but I recall that the sessions I ran were intended to compensate for exactly those issues and help teachers make sense of it and show them how to use it more effectively – that’s why I feel I know the series so well. There are other great materials which came out at that time, I think possibly ahead of their time, and did not enjoy the commercial success of simple (but beautifully contextualised) grammar based courses like Streamline. Challenges was one of them, I think writter by Brian Abbs; what a great concept that was! Another one was the Functional English series by Ron White, the first I believe to deal with language at the discourse level. Great publications that never caught on. What a pity! Scott, I’ve come to this discussion far too late to make any useful contribution. I regret this for two reasons. 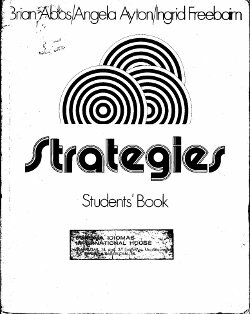 The first is that Strategies and all subsequent titles in the series made me want to become not just a teacher, but a writer – not so much in a ‘I can do better than that’, more of a ‘How do they do that?’ I used Red Strategies to teach the Orchestra of Lyon to speak basic English on their upcoming tour of China in the late seventies. They were great a chorus drilling. The second reason is that every day of my writing life I grapple with the term ‘communicative’. When used without close scrutiny and/or in the context of work with ministry-guided curriculum English, it has become a catch-all title for all the good things that came from the 70s and 80s, from Reading and elsewhere. In 1990 I was a member of a committee involved in the rewrite of Threshold Level, and I began to understand the influence of that document, and the influence of Wilkins, van Ek, Trim and many others. But the term is no longer as comprehensive as it might be – what term would be after all these years? In the work I do outside Europe, especially in China and in Palestine, we’re faced with many challenges which may apply in more teaching situations around the world than those experienced by some of the relatively select group of conference goers or readers of this blog. So the aspiration towards a pure communicative approach is still advised by the old principles, but adapted to recognize aspects such as class size, the availability of teacher training, the overwhelming demands of the exam which remain standard in all schools systems but which mean that in many state schools the skills of speaking and listening remain untested, and therefore often unpractised because they’re unnecessary for the exam. It also incorporates the supra linguistic objectives of state curricula which acknowledge or even promote the aspiration towards national identity in a economic, political, professional, digital (etc) community where the lingua franca is English. One day I’ll show you the Chinese curriculum objectives for English which is a work of art and science in its clarity. Informally, I refer to this as a post-communicative approach, or communicative+1. It retains all the best features of communicative language teaching, but acknowledges that teaching which falls short of this high standard does not exclude the teacher from aspiring towards excellence. It also embraces objectives which contribute towards the students’ all-round development, their individual differences, and the aspirations of the society in which they live. Sorry, this is a bit fast. But you ask a very good question, which is central to everything I live and breathe professionally. Thanks, Simon for your thoughtful, even impassioned, comment – it’s never too late to hear from someone such as yourself who has been at the forefront (one can’t say ‘cutting edge’ anymore, unhappily) of developments in communicative methodology and materials writing for so many years. Your point that “teaching which falls short of this high standard does not exclude the teacher from aspiring towards excellence” is very well made. Some of the best lessons I have observed as a trainer or classroom visitor were achieved based around materials that that in no strict sense could be called communicative. And it does seem that we are in a post-communicative era: I happen to be at the TESOL Convention in Boston right now, and a quick scan through the program finds few if any mentions of ‘communicative’, either with reference to methodology or to materials. The buzz words are instead ‘culture’, ‘community’, ‘literacy’, ‘technology’ and ‘standards’ – among others. Scott – Wow! How flattering to see that the S of Strategies has prompted such a lively discussion. I confess I feel quite misty-eyed when I think of White Strategies and the huge fun we had writing it. How did we ever get that unruly piece of work into print? No self-respecting publisher today would dream of cramming so many structures into so few pages (from I am, you are, s/he is to the third conditional). And all those long dialogues with the insufferable Mrs Morrison! And yet…and yet…the book did seem to strike a chord with teachers. I guess that the switch of focus to communication, with overt functional headings and a dedicated creative speaking and writing section were a world away from the structural straight-jacket of language courses of the 1960s. 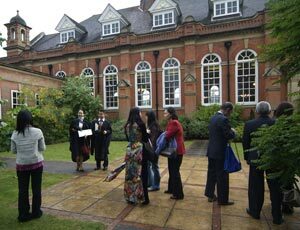 (Remember Candlin’s Everyday English and the Oxford OPEAC courses?) The fact that grammar tables were relegated to the back of the book was probably in those heady days of the early seventies quite a release. But White Strategies wasn’t a course, it was just a book. When we had finally distilled what was important and what we really believed in – which was putting the learners and their interests first – we produced the four-level functionally-driven Strategies series with its focus on communication and skills but graded in a way that teachers (and probably students) recognised and felt comfortable with. As far as we’re concerned, we’ve never strayed from that path. For most people, the reason for learning a language is for communication, but we have always recognised that mastering the grammar is what makes communication possible. What has changed most over the years (as has been so clearly expressed in previous posts) is the influence of exams, the size and mix of classes, the level of discipline and motivation – and of course the packaging. All this has had its effect on the look of the material we produce. But when all’s said and done, communication is still the name of the game. Or is my head in the sand? Enormously chuffed to have you respond to this thread, Ingrid. In fact, it’s a nice way of rounding it off – Simon’s comment about the post-communicative era, and your validation of the ‘communicative’ imperative (a lonely impulse of delight?!) that motivated the writing of, first ‘White” Strategies, and then the subsequent series. A lot of the excitement for a communicative approach was on shaky foundations. At TESOL in Rome, I watched a distinguished Italian linguistics professor read lecture notes in a flat monotone, eyes straight down on the lectern, while the audience read the transcript which had been handed out along with him. The content was on the need for communication to dominate in the classroom. To me this meant changing teaching techniques and style, not continuing to “talk about the language” (in a monotone) while substituting structural metalanguage with a new set of functional metalanguage. I’ve been looking through white Strategies today. I have two ELT libraries at home. One is in my office, the other upstairs in a large walk-in cupboard, because I have that many books. White Strategies (and the subsequent series) has never lost its place in the office, among what I perceive to be the most important textbooks. What struck me today was that it was quite conservative in basing units on a continuing cast of characters with a running story, and in opening the units with this context. That harks back to Arthur & Mary in Access to English, or Gillian and Martin in Success with English circa 1970, or John and Mary in Present Day English for the Foreign Student in the 60s. Alexander and O’Neill had broken that pattern, though O’Neill had the “Man Who Escaped” continuing story, but it was placed at the end of the unit, not as presentation. (White) Strategies used dialogue, but in retrospect the utterances weren’t pithy enough, nor broken up enough, and, as Ingrid says, the dialogues overall were too long. But back in 1975, this was thrilling stuff and enormously influential. Something Brian and I discussed in various bars at various conferences, was that many schools then used the later four-level Strategies and Streamline in tandem. Neither of us could understand it at the time, both thinking that sole use of one (we had different ideas on which one, of course) would be better. Thanks for those fascinating reminiscences, Peter. And, yes, I remember well how – at the IH affiliate in Egypt in those days – we creatively interwove bits of both Strategies and Streamline into our lessons, the latter being treated more as a resource book than a coursebook as such, providing not only a bit of humour but also (I suspect) the grammar focus lacking from the more functional courses (we also used Encounters). Incidentally, the Streamline principle, of including several instances of a target structure in a single dialogue, is now called ‘input flood’ in the SLA literature. Some of those dialogues were more like input tsunami! Based on “Language learner strategies: 30 years of research and practice” by Andrew D. Cohen, Ernesto Macaro (2007) , Strategies have also been used in a different sense from that you elaborated on. Learners (if highly motivated) naturally tend to be autonomous in the process of language learning. Therefore, they come up with their own ways (strategies) of learning different aspects of language.